You may have seen the instrument in action in the last couple of years ago – gasping in the dark. PushPull Balgerei 2014 from 3DMIN on Vimeo. But with more complete documentation, you get greater insight into how the thing was made – and you could even follow the instructions to make your own. Things you expect to see: a bellow, valves, keys. 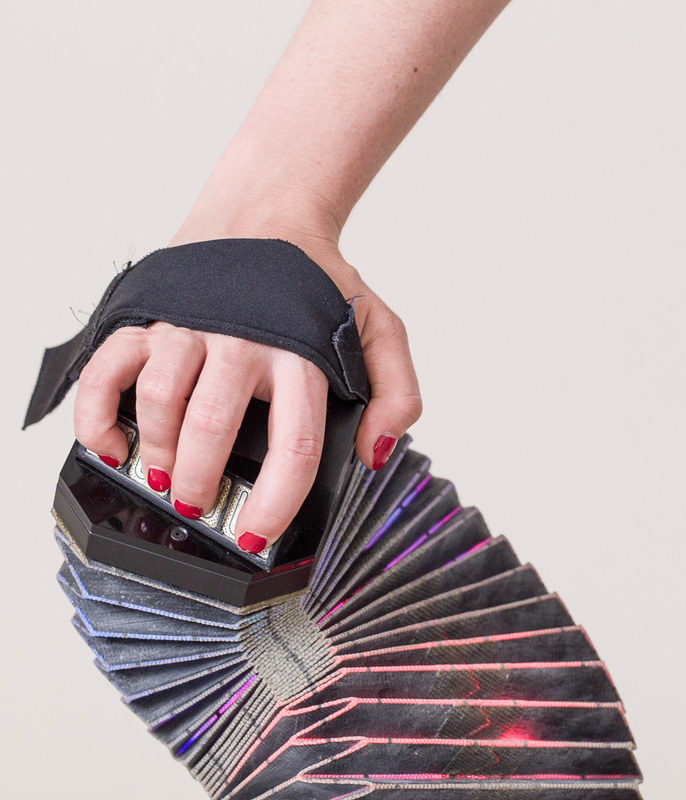 Thing you might not expect: RGB LEDs lighting up the instrument, six capacitive touch sensors, six-direction inertial sensing (for motion), microphones, rotary encoders. It’s eminently hackable, too, with X-OSC messages sent wirelessly from its sensors, loads of moddable electronics, and recently even integration with Bela, the lovely low-latency embedded platform. 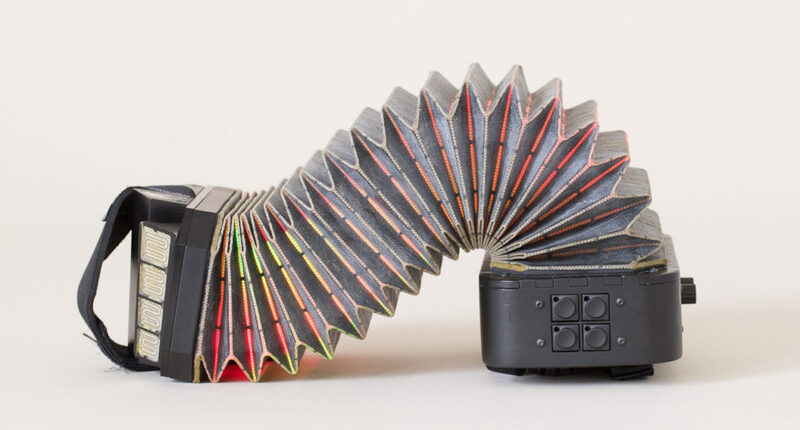 The project is the work of Amelie Hinrichsen, Till Bovermann, and Dominik Hildebrand Marques Lopes, who combine overlapping skills in art, product design, soundmaking, music, industrial engineering, and hardware and software engineering. 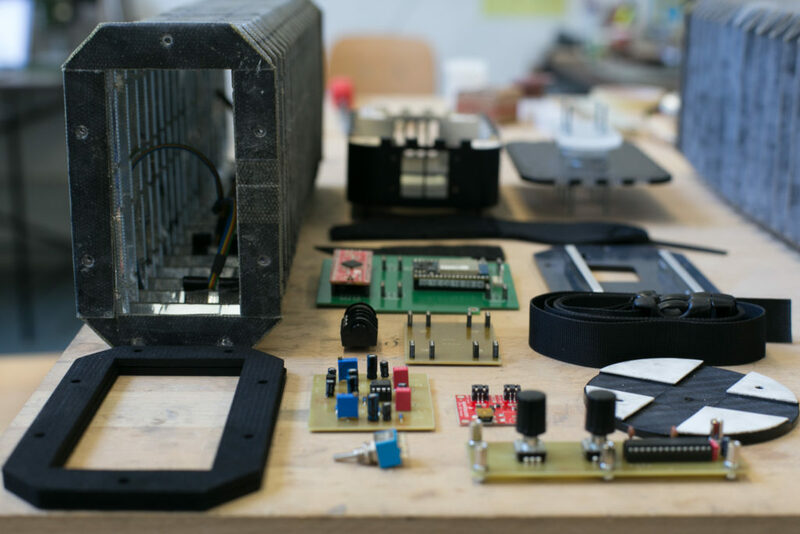 PushPull itself is part of the innovative 3DMIN instrument design project in Berlin, a multi-organization project.